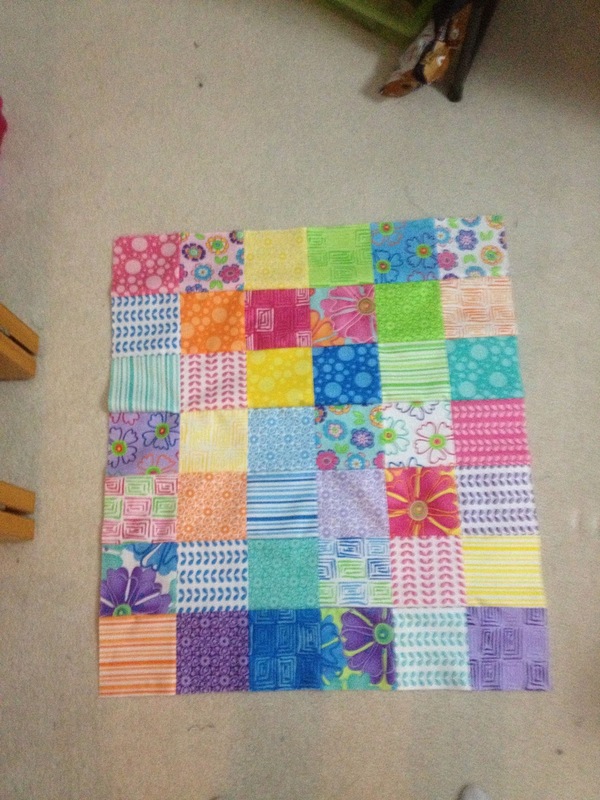 When I need to make a quilt quickly I usually go for a simple patchwork. 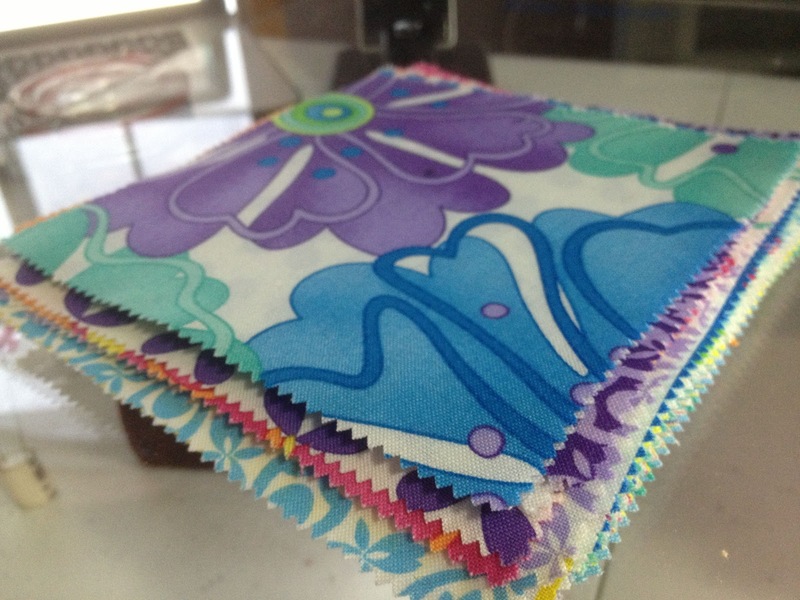 I took a standard 42 piece charm pack of 5" squares and randomized them. Put them in a 6 x 7 configuration. 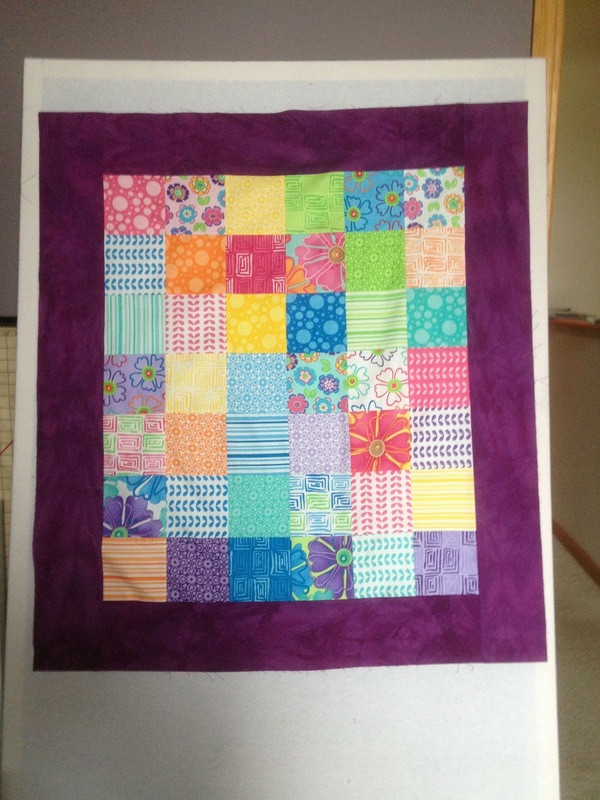 Then added a 5" border to finish. Completed top is 36" x 40"